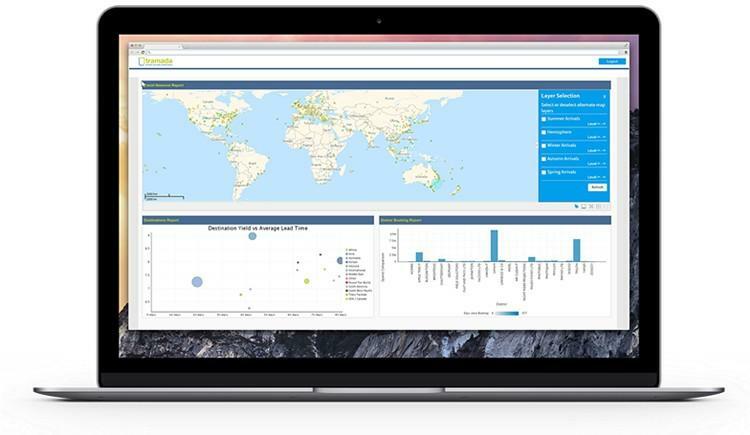 Global Business Intelligence (BI) and analytics software vendor, Yellowfin, announced today its BI platform has been integrated into travel industry leader Tramada Systems’ award-winning, cloud-based travel automation solution, tramada®. The tramada® solution holds every piece of information a travel agent has about its travellers, as well as information relating to the end-customer organisations using those travel agencies to manage their business travel. Using Yellowfin’s BI platform, Tramada was able to quickly and affordably deliver a rebranded BI module, in a SaaS multi-tenant environment, empowering travel agencies to quickly visualize and act on that information. All Tramada clients can access a new comprehensive set of standard reports included with the core tramada® product. 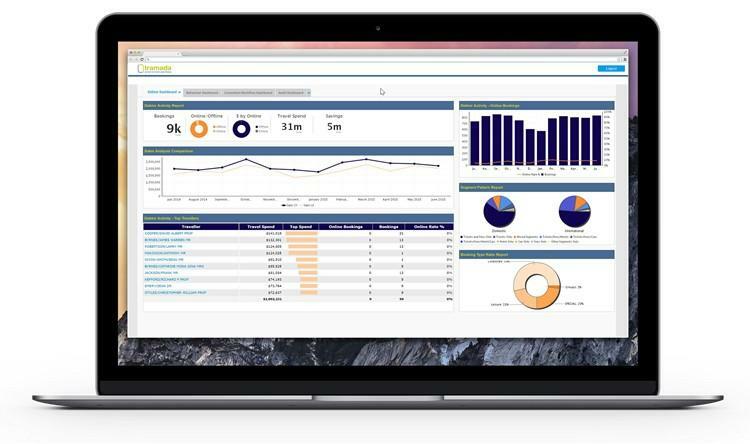 Tramada clients wanting to create custom reports and dashboards can do so via Tramada’s new BI module, tramada® connect BI, which is also powered by Yellowfin. Yellowfin’s integrated BI platform delivers data-based insights to Tramada’s travel agent clients, as well as the end-customers of corporate travel agencies, resulting in significant time savings, increased data integrity and improved client relations. Ultimately, Tramada’s clients are able to use analytics to provide a better customer experience for less cost than their competitors. These benefits also provide Tramada a clear point of competitive differentiation in the crowded travel automation industry, with thousands of companies now accessing tramada® connect BI reports. Prior to using Yellowfin’s BI solution to power its reporting and analytics capabilities, all client reports had to be built and managed by Tramada. “Travel agencies were also unable to independently create custom reports and dashboards to meet their specific needs,” said Yellowfin APAC Sales Director, Adam Chicktong. “This resulted in an incremental load on Tramada resources, with clients also engaging other third-party providers to help develop custom content. Tramada’s clients now report considerable time-savings, particularly around quarterly reviews and end-of-year reporting. One travel management company (TMC) estimated that it had reduced the amount of time spent on reporting by 34 days per year. “Combining the power and availability of our data, the time savings and increased productivity of our team, and an enhanced customer experience – tramada® connect BI is a real game-changer for us,” said Goldman Group General Manager Corporate, Chris Cheyne. “We see benefits in improved data integrity, significant time savings with client reporting and improved client relations,” said Sanford Travel Managing Director, Georgina Byrt. “The impressive performance and speed of the reports saves us time and money as well as making it easy to get the information we want, when we want it,” said World Corporate Travel General Manager of, Simone King. Yellowfin’s seamless real-time integration with operational data has also enabled travel agencies to maintain policy compliance, monitor costs in real-time and track the movements of travellers to fulfil duty of care requirements. Tramada hosts its solutions, including tramada® connect BI, within its own SaaS environment on its private cloud infrastructure. The SaaS deployable nature and multi-tenant capabilities of Yellowfin have enabled Tramada to easily manage data and functional access for each travel agent and even the direct customers of those travel agents. Yellowfin’s flexible pricing also meant that Tramada could seamlessly integrate the cost, not just the technology, into its existing business model. Yellowfin’s affordability was also critical, allowing Tramada to maintain its marketplace positioning as a technology accessible to small and midsized travel agencies, while also meeting the needs of larger TMCs and corporate clients. Tramada Systems is an industry leader in automation of the travel booking process realising better business performance for travel agencies of any size. Tramada Systems’ solutions are proven to massively increase consultant productivity, efficiency and accuracy. We manage all financial transactions, client data and document production for an agency. tramada® is the engine room powering the most successful travel businesses in Australia and New Zealand. Winner of the 2016 Cloud Awards ‘Best SaaS’ solution category, tramada® currently processes around three million travel bookings per year, representing about $4 billion of travel spend.